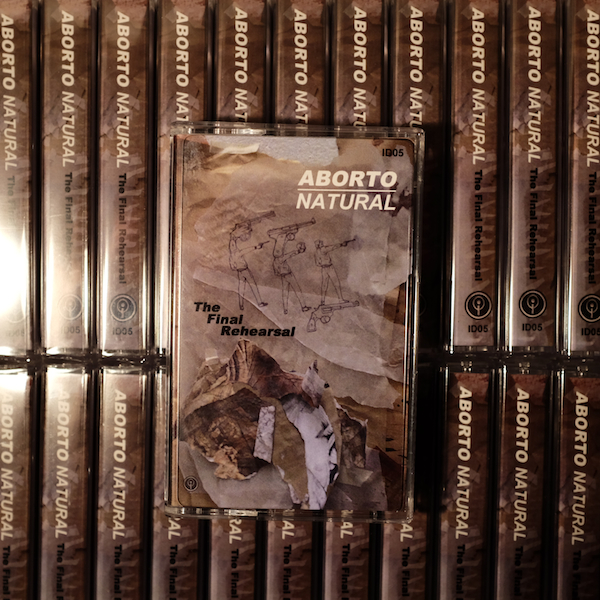 Our second cassette release comes in the form of a very special recording from Aborto Natural. In this intimate handy-cam record of their messy birth into a world dictated by expense, staring their two fathers, Francis J Quentin and Marcus John, the former provides charismatically cheap music for the pair’s intrinsically even cheaper words. Unhinged danceably disabled electronics meet poetics and spoken word in a beautifully jagged way that reflects the painful chaos, stubborn harmony and senselessness of the world we all selfishly and instinctively make our solipsistic and egotistic own. Experience the statement made over 40 continuous minutes of raw and relentless strategic bedlam at their firm but gentle hands, broken only by the necessity to turn the tape over. The stroke is more deadly than the sword. Recorded live on a handheld recorder in April 2013 just two months after their formation and a week before the always to be imminent separation of this, their first incarnation, be it permanent or not, the content of this cassette comes from a single lo-fi recording of the final rehearsal of a continuous slab of a set constructed for a gig that never happened. For now, available as an edition of just 50 cassette copies. There are a number of copies of this cassette available in Perth. If you would like to buy one, but would rather not pay the postage costs from the UK, please contact us and we will advise how you can pick one up by hand.